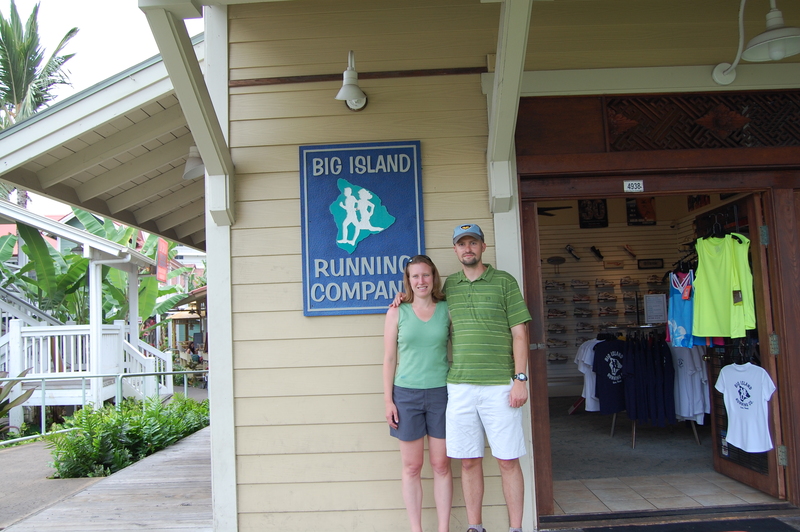 On 9/9/09, Jason Braswell and his wife Melissa became the proud new owners of the Big Island Running Company in Kailua-Kona. Jason Braswell is originally from Birmingham, Alabama, but spent nine years in Chicago before making Kailua-Kona his home. He has a long history of running, racing everything from the mile to the marathon. Lately, his focus has been on the marathon, where he has a personal best of 2:48, run at Chicago in 2006 (with perfect 1:24 splits) and at Columbus, OH (with painful 1:19 and 1:29 splits). Melissa Braswell grew up in Northwest Indiana, outside of Chicago. After spending her college years at the University of North Carolina, she returned to Chicago where she has spent the last nine years. Although she was involved with numerous sports and athletic activities growing up, she didn’t truly begin to enjoy running until her 20s. Now she enjoys running distances from 5Ks through half marathons, as well as keeping active through other activities. Both Jason and Melissa look forward to using the Big Island Running Company as a vehicle to promote running at a grassroots level on the Big Island and encourage a healthier, more active community.